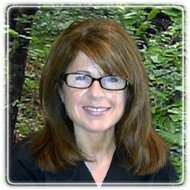 Farmington Hills Therapist: Lori Radner - Therapist 48331. Send A Message To Dr. Radner. My name is Dr. Lori Radner. I provide a safe and comfortable environment where individuals feel free to share their personal information. Psychotherapy services include expertise in helping individuals with life transitions, anxiety, relationship problems, low self-esteem, women's issues and achieving personal growth. The treatment goal is to foster an increase in happiness and success in various areas of your life. I also provide testing services including neuropsychological evaluations, which find causes and solutions to problems, such as learning disorders, ADHD, emotional issues and giftedness. I am hired by many private schools in the Detroit metro area to help detect specific reasons why children or teenagers may be struggling in school.